I've Just Been Boo-ed, Some Halloween Ideas for you! On Halloween our student dress up, we have our monthly spirit and recognition assembly, we have a pumpkin carving contest and we have a dance in the afternoon to support Halloween for Hunger (students donate food to attend). The dance is broken down into grade levels and there is a spooky maze set up, some guessing games and loads of fun dancing! 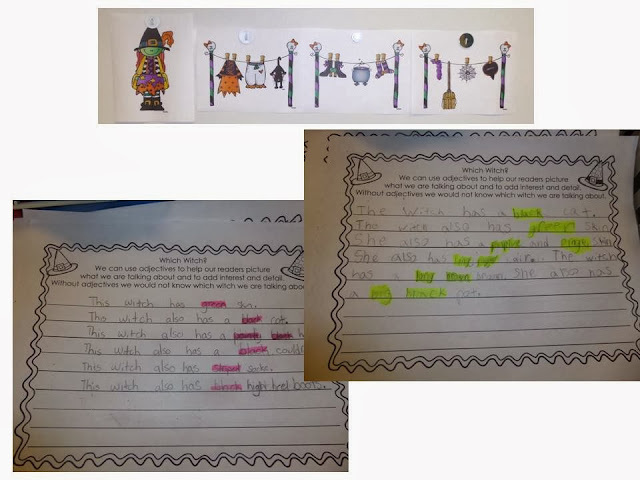 I thought I would share a few Halloween like activities that we are already doing in the classroom - things maybe you could use too. 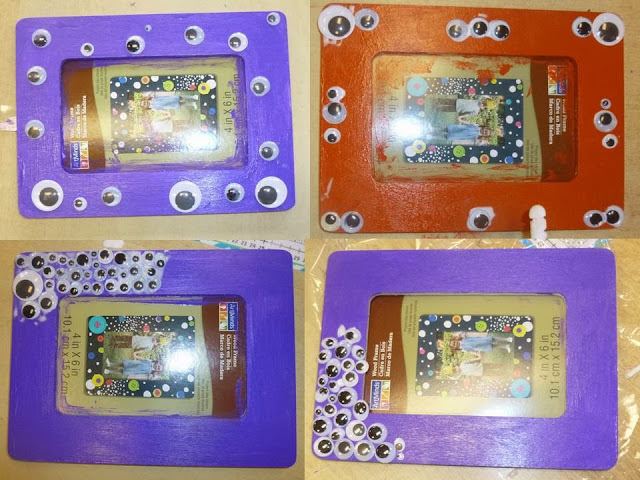 First, we finished our googly eye frames. 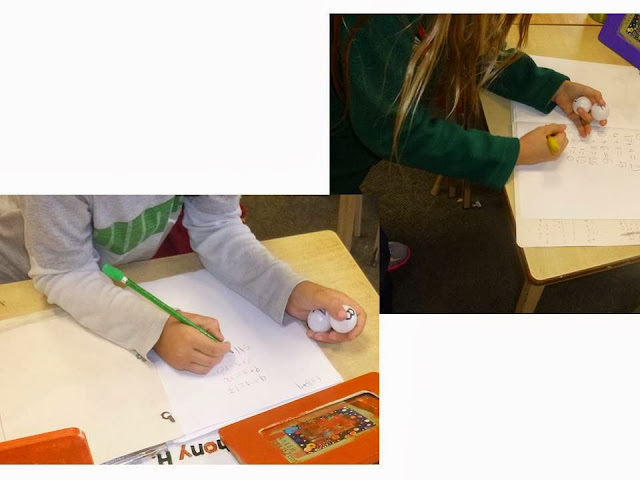 You can read this post to found out how we used inquiry math to figure out how many googly eyes we needed and which package of eyes would be best. Here are their works in progress. We have also done some eye-ball math. I bought eye ball ping pong balls at the dollar store and wrote numbers from 0-20 on each one. I place them around the room and students go and collect 2, bring them to their desk and add them up and place them around the room again. Repeat. Repeat. Repeat - you get the idea. Then they collect 3 eye balls to add. Then they go back to two and subtract them. Fun little warm up. We have also been using a ton of the notebook templates from the Collaboration Cuties Halloween Interactive Notebook templates. 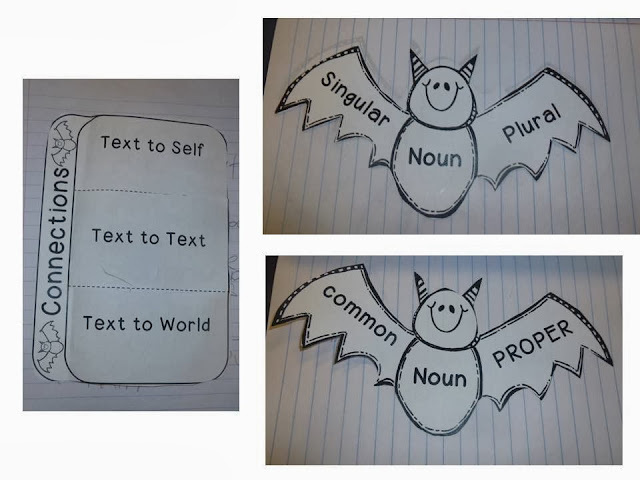 We worked on nouns last week and have been doing story summaries this week. 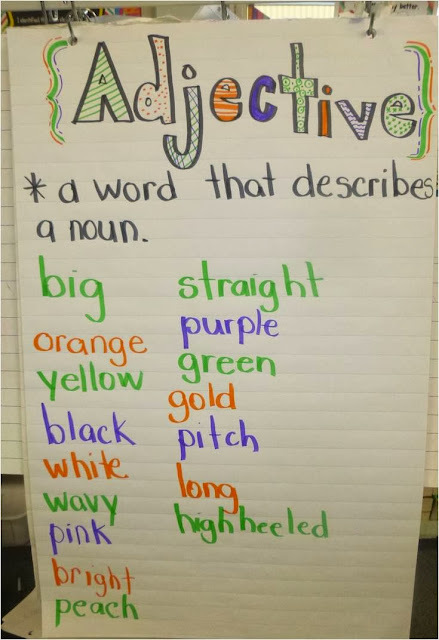 Tomorrow we are using the adjective template and the story summarizer!! There you go a little look at some of our Halloween themed activities. Wow! You've been super busy this month! Tons of great ideas. Thanks for joining in. I love your school! Your school always goes all out and does so many school wide functions/activities! Pumpkin carving and dance??!!! I want totally want to go to the dance!!!! Those ping pong balls look crazy!! I love those frames. I may have to share them with the "room moms" for next year. These are moms that sign up to plan our holiday parties. Too cute! I like that you've tied the holiday into an opportunity to give (food). We do the same thing with stuffing-a-truck and begin our coat drive. I am still loving your googly eyes frames. I saw those eye ping pong balls the other day at the Dollar Tree. I ALMOST bought some. Now I'll have to go back. Love how you are using them. What fun your school has at Halloween. I can't wait to see more pictures! Awesome ideas! I love the ping pong ball idea & the frames! Too cute! Maybe I'll get the strength to try it out with my kids this week! Thanks for sharing!